Sometime ice cream need to be put in the bucket container. 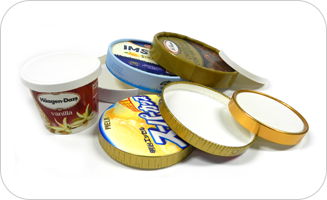 The paper lid manufactured by APL-600 used for ice cream bucket. APL-600 produces paper lids that have diameter range from 50mm to 130mm. Up to 100 PE coated paperboard lids can be produced per minute using the hot air sealing station.